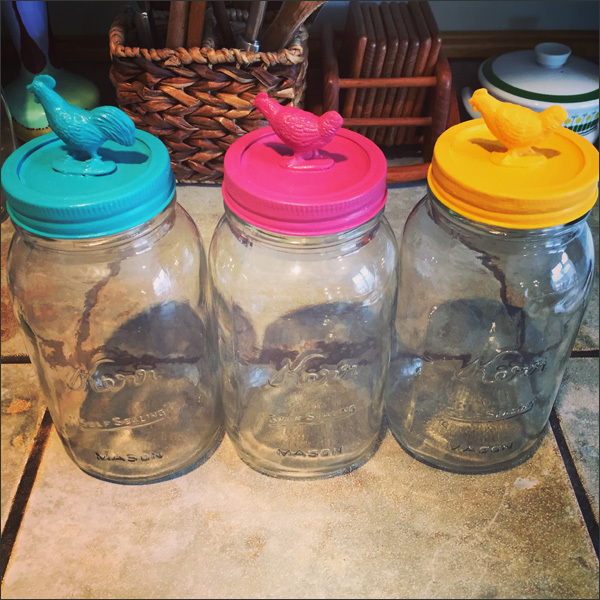 After my latest Mason jar refashioning DIY, I was ready to do more! 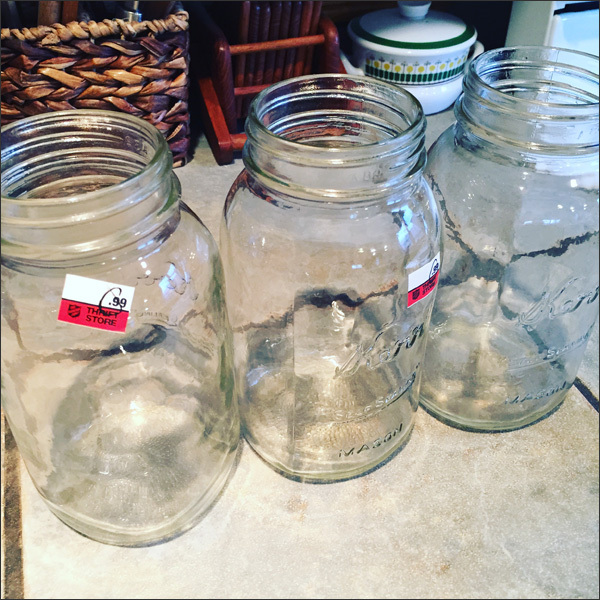 So what's a crafty girl to do - she sources more Mason jars from either her recycling bin or from her local thrift store. These ones came from my local Salvation Army thrift store and were about $1 each. Next time I'll save my Mason jars instead of recycling them to lower my cost on this project. Next I used the lids from my recent trek to Urban Source on Main Street. Plus I had a few more plastic animals left over. I was set! 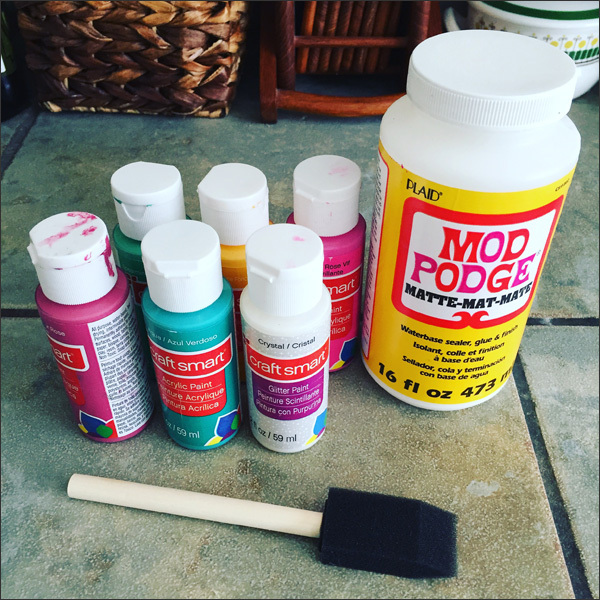 Lastly I just needed a few sponge brushes, super glue, acrylic paint and Mod Podge. 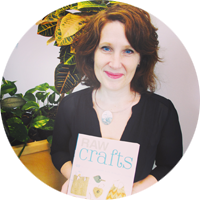 I was ready to craft! 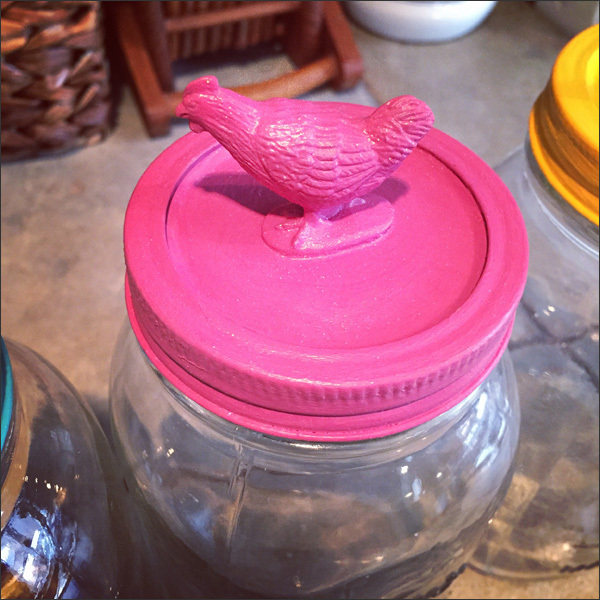 I glued the lid pieces together then glued the plastic animal to the top. 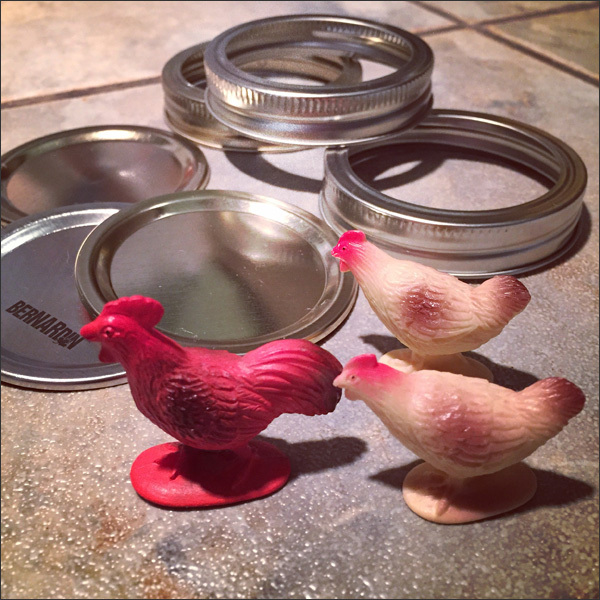 Allowed the glue to dry then coated the lids with 3-4 coats of acrylic paint. Once the paint was dry, I added a couple of coats of Mod Podge. 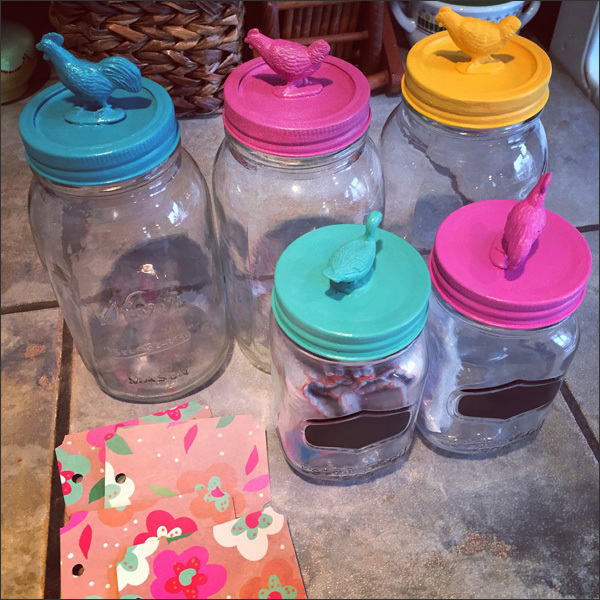 This was my super crafty weekend... 5 Mason jar DIYs, a pair of baby booties and a bunch of gift tags. 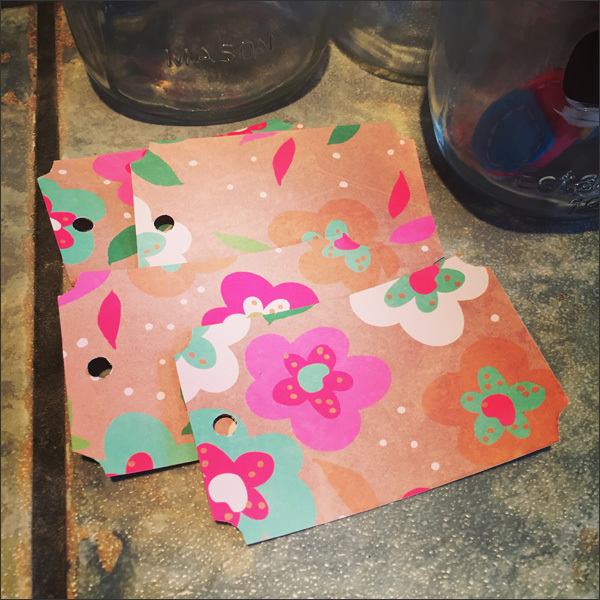 Scrap paper and a gift tag pattern can make crafty magic happen in a jiffy! 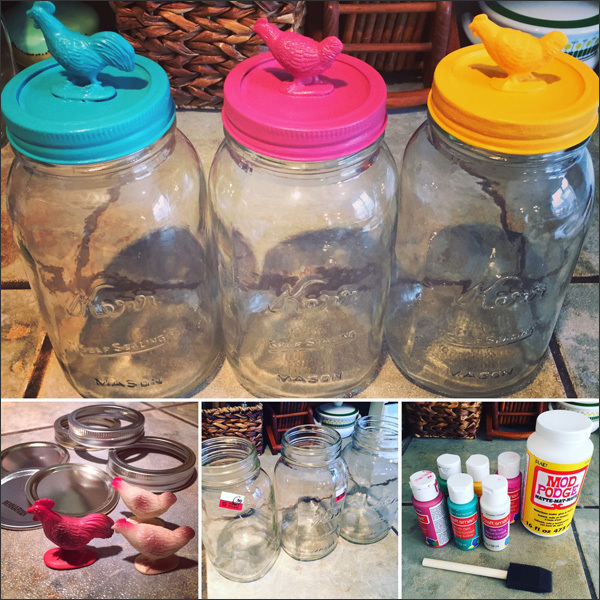 Love this DIY - it's easy, it's cheap and it's fabulous! Next I'll be preparing for upcoming Crafternoons... 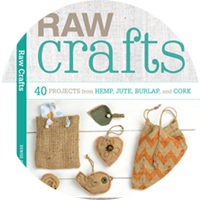 Looking forward to crafting with 'crap' with my peeps.